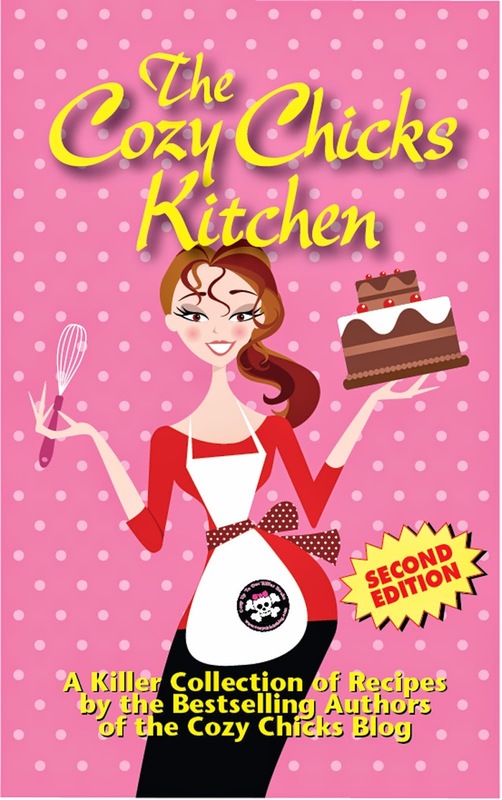 Cozy Chicks: Author Goodies - Treasure or Trash? Author Goodies - Treasure or Trash? Friends, Malice Domestic is fast approaching and many of your favorite cozy authors are wondering what to bring along to give out to readers. I'm sure you've been to an author event in which you were given bookmarks or postcards, but a group of us would like to create a little game in which attendees of this terrific conference celebrating the traditional mystery genre can collect certain items in order to win a prize. Last year, we played the button game and many of us had buttons made to reflect our book covers or characters. 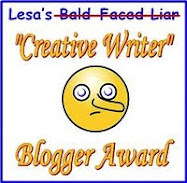 I thought they were adorable and we gave some away to our blog readers as well. Folks pinned them to their bags, hats, and shirts. Make notepads using your advertising postcards as the covers. I think it would be neat to have a charm bracelet then add appropriate charms! Autographed postcards would be great as well. May be have a "passport" and people need to collect stickers. I'm a pack rat, so personally I'd love anything! I have been waiting for this! More buttons, please!! 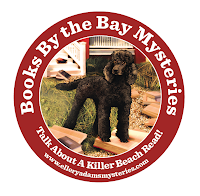 I get so many comments on the two I have (one You're Going to Love Lucy and the Books by the Bay one you show here). I have a denim purse, and so I could be a walking advertisement for my favorite authors if you all made buttons! I love bookmarks and magnets, but those have to stay home. T-shirts are too expensive. Pens are good too, and I can show them off but not as easily as the buttons. That being said though, NOTHING I get from an author is ever "trash". I keep it all, and if I ever make it to Malice, my husband will probably threaten to divorce me when I fill all possible space in the car going home with author swag. This year a new granddaughter trumped Malice, but I'm crossing my fingers for next year! I like pens. I use them and look at them when I use them. I keep at least two in my purse and in three or four locations in my house. I also like bookmarks. They are small, and can be used to (yes!) keep my place in a book, or just pinned up on a bulletin board. No such thing as too many pens or notepads. And if the notepads are post-its that's even better, but big enough to really use. Anyway, I love bookmarks, pens, notepads, I don't really have a use for the postcards unless they're signed (I collect those), the cheap keychains that are just a piece of cardboard on a keychain get pitched. A nice "real" keychain that won't tear I'd keep. Buttons sound neat, too. Pens please. I can never have enough pens as I'm always lending them out (sometimes to authors as signing pens) & they seem to find new homes. I think charms are a delightful idea. Buttons are good also. A pen, a notepad I would add to my "author's cabinet" in my library and not use. The only exception to that was Hank's chapstick. LOL. I now have the empty tubes. I don't know how expensive it would get, but any kind of a tote bag with the titles or a cover would be great. I have totes every where. I always use pens and notepads. The buttons are great too. Pens and postcards, and bookmarks are always welcome. Some of the cozy paranormal authors have given out pens that looked like witches brooms. What about specific items relating to the character or crime for each of your books? You could get really creative that way. I wish I was close enough to attend, I love buttons or pins (smaller than the buttons, that pin on like a pierced earring) but pens, notepads and bookmarks are great too. I have to say if you can get a good price those water bottles or travel coffee mugs are wonderful too, and people carry them everywhere advertising you books and they last forever. What ever you decide I know it will great and while not actually there in person I will definitely be there in spirit. I absolutely adore all promo goodies from authors! 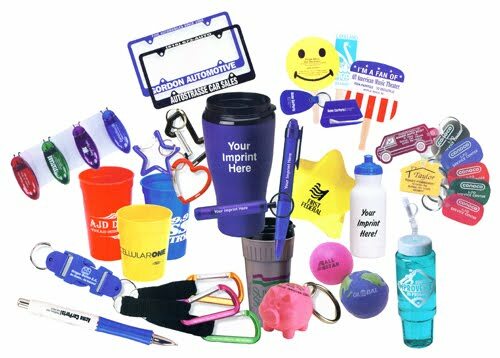 Pens, buttons, magnets, postcards, notepads, etc. My favorite items to collect are bookmarks that are signed which I keep in a alphabetized album. I love the really fancy bookmarks that are cutout into shapes to reflect a character from the book. I haven't received very many buttons but that sure would be cool! The ones I do have, which are only two, are on a bookbag. Excellent advertising for the authors! Another thing I adore are the fabric book bags that I have received from authors. I have several and have given some to friends and they love them! Post-it notepads are always great! I have received several of those. Oh, another thing I love are signed bookplates that authors give out for books if you can't make it to a booksigning. These are really awesome! I have a whole set from Janet Evanovich for all her books. I think I own practically every single one of her books. This would be great to give out instead having to wait in line for a book signing. Definitely the pens and the notepads. The buttons are cute too. I use the bookmarks, but not really so much the postcards. I love all promo goodies! I have a huge memoboard in my office at work, filled with bookmarks and bookcovers. I also use lots of bookmarks, especially as I often read more books at once. I have some signed collectors cards from C.L. Wilson which I love to look at. Just anything that shows a bookcover is fine with me. I have some buttons too, but they just are in a bag together. And nothing is trash for me if it is merchandise. Personally, I like bookmarks and postcards, buttons and pins, and tote bags. I don't care for pens (most of the ones I've gotten at places in the past are cheapie ones that don't write well) or keychains. Coffee cups are nice, but I don't need any more! I love all the promotional items. Being up in Canada I don't get to as many signings as I like, but I love to keep all my postcards and bookmarks in a box together, geeky I know. I just treasure them that much! I love the charms idea, that's definitely a great thought. Bookmarks, pens, notepads, postcards, buttons, I love them all! I really like the idea of charm bracelets. I forgot to mention tote bags. I love to include those with my bigger giveaways and magnets. I love the buttons, bookmarks, and would love pens. I keep having friends pick up one of my pens and leave me theirs...it is almost a game. Great advertising. I forgot tote bags, too. How could I forget them?????? I forgot tote bags, too. How could I forget them? I love them! I prefer useful things: totes are great, but pricey for a giveaway I'm sure. I like pens if they are good pens, so many give away pens are cheap and don't write well. Sticky notes and nice bookmarks are always good too. I would like to see notepad or tavel mugs. I would love a cozy chicks travel mug. Pens and signed book cover/post cards! I collect both. The pens get used (but only by me!) and the signed cards get framed. For me they are really a neat collectible that I can enjoy as artwork too! I wish I could go- it sounds like it will be so much fun! I love all sorts of promo loot. One of my favorites is an 8x10 canvas tote bag from Rosemary Harris.I use it all the time a people always ask me about her books. 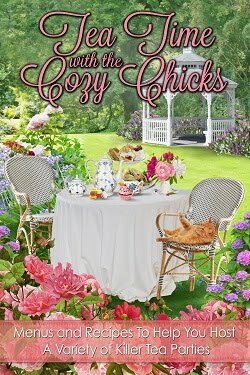 I look forward to seeing you Cozy Chicks at Malice. I love the idea of buttons and pens. Charms not so much, same for notepads. Maybe a keychain? I have to say I'm sad that only people who go to signings get these things! I live in the sticks and never have any signings near by. Pens, bookmarks, magnets, and notepads are my favorites. The only tote-bags I have seen given as swag tend to be too small to use regularly. I like the idea of a tote bag--it doesn't have to be expensive, plastic is okay. For me, it's the picture on the outside of it that I get excited about. I still have the bags I get from the Disney store! 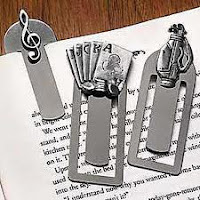 I have several bookmarks, and I really like them too. I like to use a bookmark from the author of the book I am reading. I'm with you all in wishing I could go to Malace... who knows, though, I've got airline points that are going to expire, and I just might show up! WOW, I love the idea of the charm bracelet, but I'd prefer a charm necklace. I like bookplates,and bookmarks, but I really loved the little sewing kit that Elizabeth Lynn Casey had for her Southern Sewing Circle mysteries. I carry it everywhere.